In a series of 5-minute video segments, get the Bible’s big picture, along with a uniquely Catholic approach to the Scriptures. There is a Leader’s Guide containing everything needed to use Our Story in a parish group setting. The User’s Guide is for those individuals using Our Story at home. Also available: An additional video on praying the Bible through the ancient practice of Lectio Divina. Interested in using Our Story: A Bible Refresher for Catholics as a parish program? Download this leader's guide to direct your Scripture study. 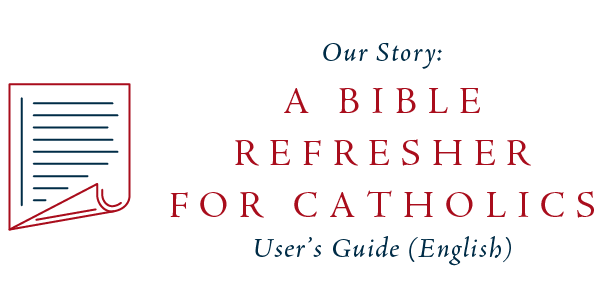 This study guide equips pariticipants of Our Story: A Bible Refresher for Catholics to engage with your parish program. Watch every video in the Our Story: A Bible Refresher for Catholics series, including an optional Lectio Divina training video. 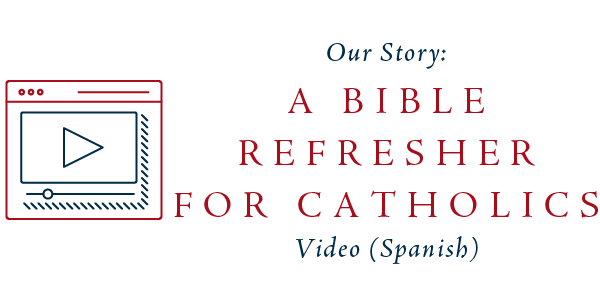 These videos can be used to strengthen a personal study or parish program.